Phillip Island Honey - Busy Bees! Where would the world be without bees? Their importance to our food supply is immense. Do you know that one out of every three mouthfuls we eat is grown because of the work of bees? 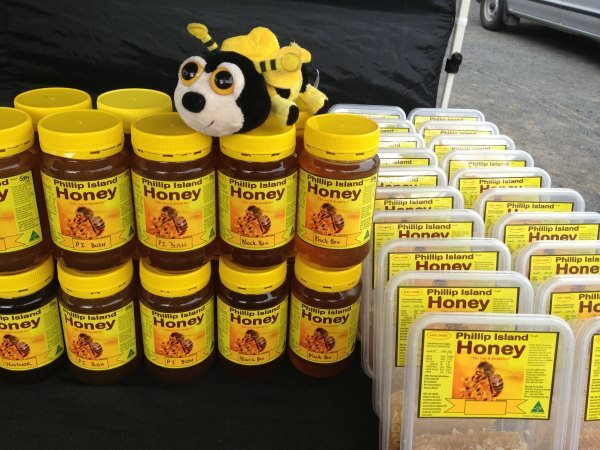 Apiarist David Severino and his tubs and jars of Phillip Island Honey are a common sight at weekend markets. 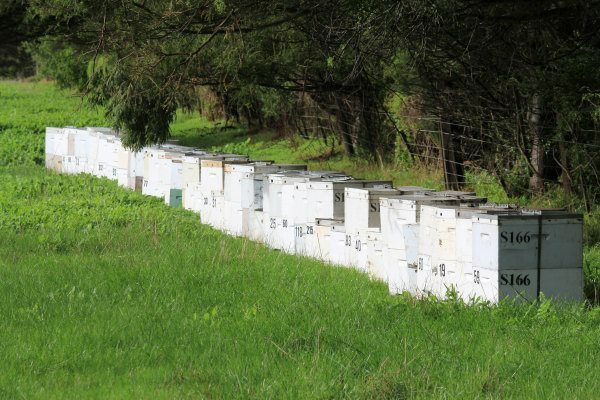 You may have seen a collection of white boxes in paddocks around the island – these are some of his hives. Victoria has large tracts of native forests (36% of the state) so David also takes hives further afield - to nearby Gippsland plus other parts of Victoria. 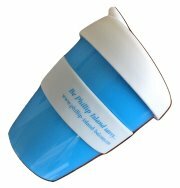 Phillip Island Honey has several “flavours”, depending on the vegetation near the hives. Honey can vary markedly in colour and taste. Taste can range from mellow to very strong, while colour can range from a pale straw colour to very dark brown. One of the more common varieties is yellow box from Eucalyptus melliodora – considered the best native tree for honey production. Manuka honey – from tea tree – has a strong taste and is said to contain anti-bacterial properties. 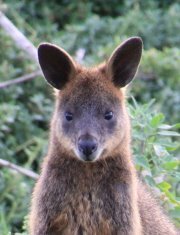 Other varieties can come from coastal banksia, grey box, black box, red gum, stringybark, messmate and many other eucalypts as well as flora - garden and wild. David offers services such as hive removal if you suspect you have a beehive that needs removing. This happened to us as we thought we had bees on a flight path to under our house, only for David to discover they were European wasps! Ouch! Australian native bees tend to be solitary and not live in colonies, hence the introduction of European bees (apis mellifera) in 1822. They arrived from Cork, Ireland aboard the “Isabella” – a very unusual cargo! Hives can average around an amazing 60,000 bees and produce around 60kg of honey annually – that’s certainly makes the saying “busy bees” understandable! Bees fly up to an 8 kilometre radius from the colony. The honey-making process starts with bees collecting pollen and nectar from vegetation and transforming it into honey. It is stored in honeycomb in the colony. For collection, the wax capping is removed and the frames spun to remove honey. After filtering through a fine strainer to remove wax particles and bee bits, it is bottled.